Recently, Infinity Abstract and Title held a public informational seminar that was hosted by Blick Law Firm. The seminar provided some great tips and educational information regarding real estate closings, and the expired 1099 deficiency waver law. Licensed Title Agent Debbie Macias engaged the audience with exceptional knowledge and advice, along with Certified Public Accountant, Kevin Krueger. Infinity Abstract and Title’s Debbie Macias administered an educational discussion about what should be avoided to help ensure a smooth and successful real estate closing. While all problems cannot be anticipated, Debbie provided the audience with a helpful list of “Red Flags” to look out for in their transactions. A real estate closing is the final step in the home buying process, it is important to be aware of the timeline of requirements that take place upon completion of the closing. The buyer must first open an escrow account with a neutral third party to ensure that the buyer fully intends to complete the sale. The next five steps are necessary to protect the buyer’s interest in the home. These steps include: completing a title search, purchasing title insurance, the completion of a home and pest inspection, negotiation of closing costs, and finally locking the interest rate of the mortgage. Once these steps are completed, it is necessary to consult a real estate attorney before moving forward with the purchase process. An experienced real estate lawyer is able to provide legal guidance, and can decipher the complex language involved in most closing documents. A real estate lawyer can also help to identify the “Red Flags” that can interfere with your closing, as well as deal with unexpected complications that may arise. If you or a loved one is considering purchasing a home, call Blick Law Firm today at (888) 973-2776 to schedule a free 15-minute consultation with attorney Michael Blickensderfer. Think quick, call Blick! It is very common to become overwhelmed with intense emotions and feelings when involved in an auto accident. However, it is essential to handle the situation in a calm fashion and as smoothly as possible for the benefit of your legal rights and claim success. In certain circumstances, insurance industries will attempt to settle your case prematurely by means of a liability release. If you sign a release of liability that means you are agreeing to settle your claim. Signing a liability release will discharge all parties from any and all liability for the incident. 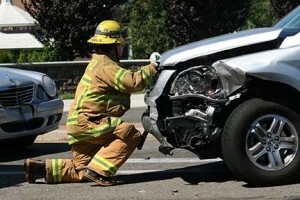 If involved in an auto accident, you should proceed with caution and seek a car accident lawyer to protect your rights. With the proper legal representation, you can receive befitting compensation for your damages, as well as guidance through the medical and legal process in its entirety. A liability release can also end your case before you have acquired medical treatment. Even if an auto accident does not cause immediate physical discomfort, sometimes there can be underlying issues that can worsen overtime. It is always imperative to seek medical attention immediately following an accident, in order to ensure your physical health and safety. A premature settlement can hinder coverage of future costs, as well as negatively affect your out of pocket expenses. A personal injury lawyer will take into account liability, injures, coverage, and future damages, as well as negotiate and contend for lower settlement amounts for the injured party. For a free case evaluation, contact your Tampa Bay Law Firm at 888-973-2776 or visit us at www.blicklawfirm.com. Often times Florida drivers are unaware when they get behind the wheel of a vehicle that their driving privileges have been suspended, cancelled, or revoked; and unsure of what to do. Law enforcement officers arrest drivers daily for driving with a suspended license. Arrests of this nature can lead to complications when trying to reinstate your driving privileges. In Florida, it is a criminal traffic offense if a driver operates a motor vehicle with knowledge that their driver’s license is cancelled, suspended, or revoked. In this case, it is important to know that multiple infractions of Driving with a Suspended License can lead to consequences, and drivers with repeated violations can be listed as a Habitual Traffic Offender in the county or state. The penalty of driving with your license suspended, whether you have knowledge or not, may be serious and generally leads to complications with your future driving privilege. If you or a loved one have been arrested or issued a traffic ticket/citation for driving with a suspended license, call Blick Law Firm today to receive a case evaluation with a Tampa Criminal Lawyer that has over 26 years legal experience. The 2014 Olympic Winter Games are finally here. 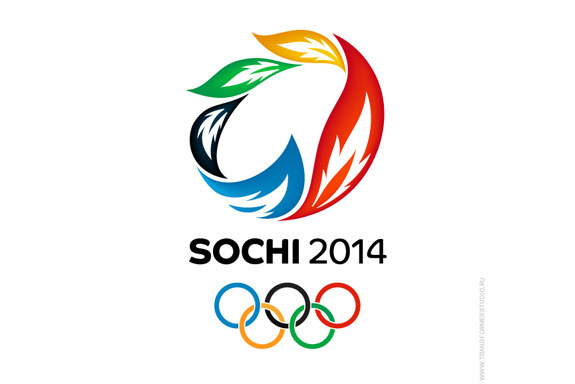 Athletes from all over have endured vigorous training in preparation for this year’s Winter Olympics in Sochi Russia. This multi-sport event encompasses very exciting and sometimes dangerous competitions in which professional athletes participate. American World Cup Alpine Ski Racer, Lindsey Vonn, took home two medals in the 2010 Vancouver Games. She also became the first American woman to win an Olympic gold in the downhill. As the most recognized name in Alpine Skiing, many Americans are excited to see Vonn compete in this year’s Winter Olympics. Unfortunately, Vonn announced that she would be leaving the Sochi Olympics due to a knee injury during a high speed crash during training. Injury is very common among athletes, as well as people who exercise regularly. Injury can also occur due to result of another’s negligence. Injuries may be sustained from various factors including defective equipment and/or negligence can be very painful, and require extensive medical treatment that can be quite expensive. Injury can also prevent you from attending work or school, and is sometimes life altering. If you are injured, it is important to know your legal rights. An experienced personal injury attorney can help you get proper medical assistance, determine liability, and negotiate with insurance companies. Two major issues of concern in evaluating a personal injury case are liability and causation. Causation is a very important factor in a personal injury case. If your injury is a result of a person, or organizations negligence, a personal injury attorney can assist you with your claim. For example, if you sustain injuries due to a health club’s defective equipment, or if you slip and fall on a wet floor in your gym; you should immediately seek medical attention, and contact a personal injury lawyer. 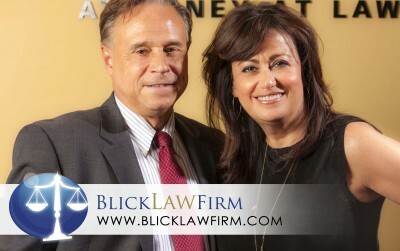 If you feel you are in this personal injury situation call Blick Law Firm today for a Free 15 minute consultation with Attorney Michael Blickensderfer. Think quick, Call Blick! Infinity Abstract & Title will be hosting an informational seminar from 3 to 5 p.m., on Wednesday, February 19 at the Blick Law Firm’s previous headquarters, 4351 Gunn Highway in Tampa. Licensed Title Agent Debbie Macias, will be discussing ‘Red Flags’ to look out for during Real Estate transactions. Certified Public Accountant Kevin B. Krueger, will be providing information regarding the 1099 deficiency law that expired on 12/31/2013. The seminar will include a Q&A session, and there will be light food and refreshments served. As a division of Blick Law Firm, Infinity Abstract & Title provides title insurance and escrow services to clients throughout the entire State of Florida. Title insurance is a form of protection that is necessary when purchasing a new home or property. Unlike other forms of insurance that only protect against future loss or damage, Title Insurance protects against loss or damage produced by past events that can cause a failure or defect to the title. After a records search is conducted, many existing problems can still arise, and hidden hazards can still exist. Title Insurance will protect you against these potential problems and pay for any legal fees involved in defending a claim. Realtors and title companies are prohibited from giving legal advice without a license to practice law. However, a real estate lawyer is obligated by law to disclose legal options to the homebuyer. For security and peace of mind, it is important to be aware of legal options when purchasing a home. An experienced real estate attorney can provide needed legal advice, and can interpret jargon presented in Closing documents. An attorney can also distinguish problems with your purchase documentation, as well as take care of discrepancies that can emerge during the real estate purchase process. When purchasing a new home, it is important to seek a title company that has an experienced real estate attorney to ensure that your investment is legal and secure. Unlike other states, the state of Florida does not require homebuyers to hire an attorney for a title closing. However, buying a home is a complex process that requires legal direction. A real estate agent alone is not sufficient in handling the legal matters and ethical standards that exist when purchasing a home. A Real Estate Closing finalizes the home buying process. It is important to understand the timeline of requirements that take place in order to complete the Closing. The first thing the buyer must do is open an escrow account with a neutral third party. The buyer will provide money that will be held in consideration of the purchase, ensuring that the buyer intends to fully complete the sale. It is important for the buyer to follow these steps upon completion of any Real Estate transaction, and it is advisable to seek legal counsel prior to moving forward with the purchase process. 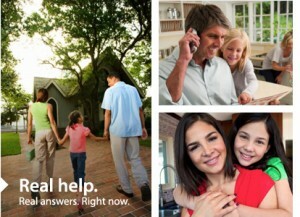 At Blick Law Firm we provide title insurance and escrow services to clients throughout the entire State of Florida. Call us today, for a free consultation. Auto accidents can be very stressful and unexpected, even for safe drivers. Auto accidents can also cause injuries that require extensive treatment and therapy, taking months to complete. 1. Disclosing information on Social Media: In today’s society, technology has changed our lives and the ways in which we communicate with one another. People can tell the world what is going on in their lives with just a click of a button. Although the use of the internet is very convenient; updating your status, writing blog posts, and tweeting certain information over the internet can make you more susceptible to public scrutiny. Insurance companies and defense attorneys are aware of this, and internet research can be conducted to damage your injury claim in an auto accident case. 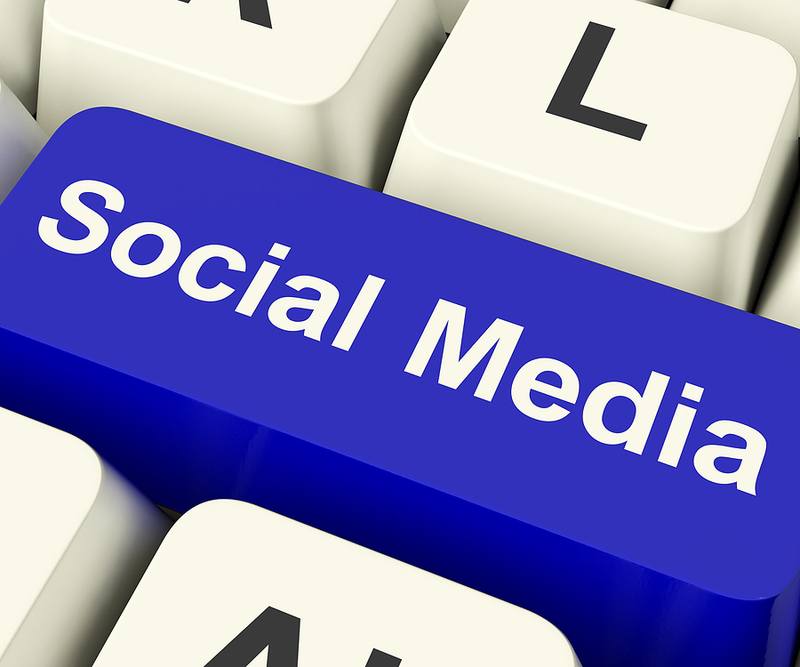 In order to avoid discrediting your claim, it is important to practice caution when using social media. For example, do not tweet that you are going to a kickboxing class when are supposed to be suffering from knee pain due to a recent accident. Be careful not to post or tweet any information over the internet that the opposing insurance company could use to hurt your case. 2. Lack of Witness Information: An auto accident can be shocking and stressful. It is important to keep calm and gather the right information that will help your future case. 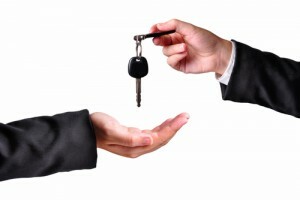 Having eye witnesses are a great way to help your claim if you are not at fault. 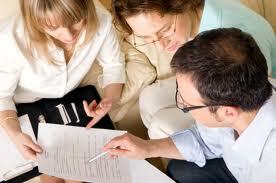 Authenticate your case with eye witnesses in order to decrease debate with insurance companies. Be proactive and ask witnesses for their contact information directly after an accident, do not expect the investigating office to obtain this information. 3. Giving a Recorded Statement to the Opposing Insurance Company: This mistake is most common. Insurance companies are usually notified promptly after an auto accident has taken place. Once notified, insurance companies move quickly and try to obtain a recorded statement regarding the accident, as well as information regarding your injuries. Many people are unaware that they are not required to disclose any information to the opposing insurance company, nor are they required to answer any of their questions. Insurance companies are often trying to take advantage of your lack of knowledge and mental state after you have been involved in an accident. It is important to always consult your lawyer before providing a recorded statement. 4. Take Opposing Auto Insurance Companies Lightly: If you are not at fault, it is important to be honest when dealing with the opposing driver’s insurance company. When the opposing insurance company conducts their investigation during your case, they may use photos of damages, surveillance, or video footage of you. Be sure to be honest and admit to any attempted activities that may seem questionable on your part. We are aware that your physical health will improve over time if you are being treated for injuries during the claim process. However, do not deny any thing that can be proven true after an insurance investigation has taken place; it will hurt your claim. 5. Waiting too Long to Get Medical Treatment: When involved in an accident, many people assume that medical attention is unnecessary and their pain will eventually subside. Unfortunately, your pain can worsen overtime if it is left untreated. Be sure to seek medical attention immediately after an accident. If your injuries are severe, you must report to the hospital. Insurance companies monitor any gaps between treatments, and will assume that you are not being honest about your injuries if you wait too long to be treated. Request medical care once you visit a personal injury attorney, and make sure your complaints and symptoms are recorded and well documented. Personal Injury claims vary in severity, and may require lifelong medical expenses and treatment. If you or a loved one has been injured due to the actions or negligence of another, call Blick Law Firm today at (888) 973-2776.